I’ve been running my closed-headphone mega-review for nearly two years, with 29 headphones ranked so far, plus owning and testing many others that didn’t qualify (usually for being open-backed), from $30 to $5,000. It’s rare that a headphone can surprise me anymore. 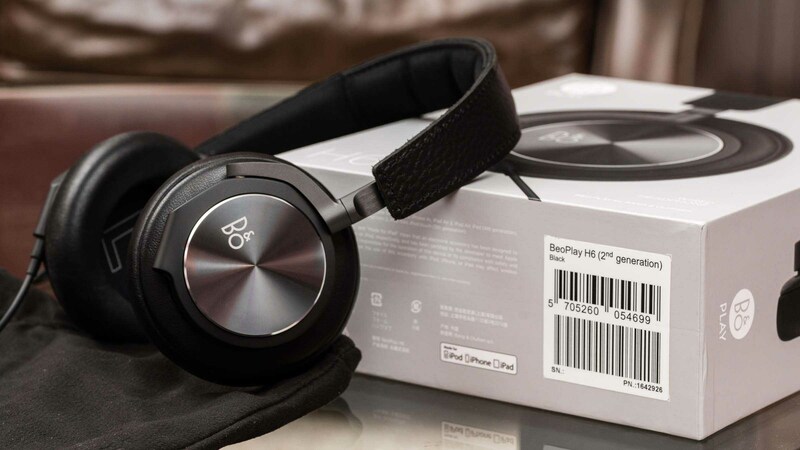 And even though the first-generation Bang & Olufsen BeoPlay H6 had been my top pick for a long time, I’d lost faith in their recent headphone efforts, having been very disappointed by the H6 DJ Khaled Edition, wireless H7, and on-ear wireless H8. But the new H6, distinguished simply by “H6 (2nd generation)” on the box, blew me away. Original H6 at left, new H6 (2nd generation) at right. It looks nearly identical to the first H6 — the only apparent differences are the driver cover cloth, which has gone from green to black (in the black model), and the barrels on the headphone cable, which no longer have metal finishes (but now fit through slightly thinner openings in many phone cases). The H6 remains one of the most comfortable headphones I’ve ever worn, with a very lightweight design and excellent earpads. Isolation of outside noise (and leakage of music to the outside world) remains average for closed headphones, and portability is excellent for over-ear wired headphones. Upon any physical inspection between the first and second H6, you’ll think nothing has changed. Until you hear them. They sound, quite simply, awesome. The original H6 also sounded awesome, with only a few caveats: the bass was a bit light, the midrange was a bit bumpy, and they needed an amp to sound their best at higher volumes. Just the right amount more bass to better satisfy modern preferences without overpowering the rest of the sound. Smoother midrange without the first H6’s inconsistencies. Even more treble detail without sounding harsh, unless you’re very sensitive to treble. It’s more efficient — an amp is no longer needed. It’s easily the best portable headphone I’ve ever heard, and one of the top few best headphones I’ve heard, open or closed, at any price, period. At $400, this isn’t an affordable headphone to many. But for the first time, the H6 is a great value for its price, competing so well against other headphones at $400 or less — even full-size, open-backed models — that being portable, comfortable, and closed-backed truly comes with no drawbacks. The only mystery to me is why nobody else seems to have discovered it yet. I can’t find a single mention of the update anywhere — not even on B&O’s site, which only shows the 2nd-generation model in the photos but seemingly makes no mention of the change. If you don’t need Bluetooth or noise cancellation (which come with significant tradeoffs) and are willing to spend $400, get the H6 (2nd generation). Highly recommended. See how it compares against 28 other closed headphones in my ongoing portable headphone mega-review.